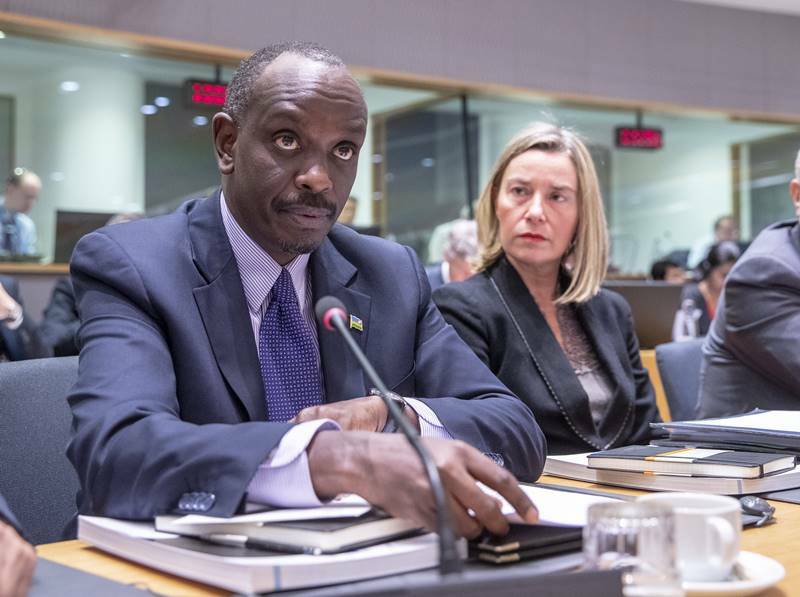 Rwanda’s Foreign Affairs Minister and International Cooperation, Dr. Richard Sezibera, says both Europe and Africa grapples with multiple threats to its security – and called for cooperation to contain them. “In this time and age, there are multiple threats and/or potential signs of threats to peace in Africa as well as in Europe. Despite their gravity, I am convinced that we have the potential to contain them through collective and coordinated action as well as the structures we have built bilaterally or internationally,” Minister Sezibera said. Sezibera was today speaking at the opening session of the Ministerial Meeting that brought together AU and EU foreign Ministers in Belgium capital Brussels. The meeting, the first of its kind, was agreed upon during the 5th AU-EU Summit fourteen months ago in Abidjan, Cote d′Ivoire. The summit took place at the time when Europe and Africa were dealing with issues of migrants – causing a security threat on both sides. Africa has established an African Union Peace Fund, with a target to raise $400 million. Addressing the meeting, Minister Sezibera said that the target is making good progress, and called for joint reinforcement of it. “In peace and security, we would want to reinforce our cooperation towards the full implementation of the African Peace and Security Architecture, as well as the Peace Fund. I am glad that we meet at a time when Africa is on a good trajectory to meet its $400 million target for the Peace Fund. Over $70 million has been raised so far, and a Governance mechanism, in which the European Union is involved, has been set up,” he said. Africa is expected to enjoy the official launch of the Africa Continental Free Trade Area (AfCFTA) signed in Rwanda’s capital Kigali in March last year. Once it comes into force, the agreement will connect the continent’s 1.2 billion people to one market.